After seeing a similar zinnia pillow at a store (which I won’t name but its my favorite store ever) I had to make it. I was obsessed with it. So I bought myself some canvas and went to work. It took awhile, but now I have a new favorite thing to do with my scraps of fabric I can’t part with. 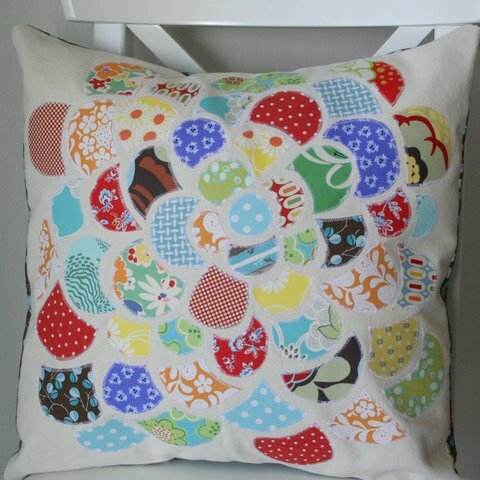 And a really snazzy pillow…..going into the shop. 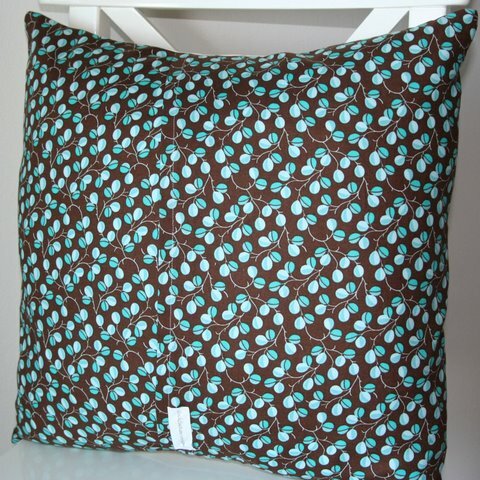 And a tree pillow…oh the possibilities! And an unfinished project that is no longer staring me in the face. The Nest Pillow. I have a feeling there will be much more applique in my future. Its addicting. I love those pillows. I’ve seen the zinnia pillow as well. Yours are great! I WANT THE TREE PILLOW!!! Love them all but the tree pillow? Swoon! I absolutely adore the applique pillows. Oh…I have to start sorting scraps. I really think I need one of those. :) Beautiful work! Oo! I love them Allison. Too bad you don’t live in Rexburg anymore, or we could do some sewing together. (Scott and I just moved back for him to teach at BYUI). I love these! Do you use stabilizer behind your applique? Can you share with us your technique? I have done hand applique but want to start trying machine. 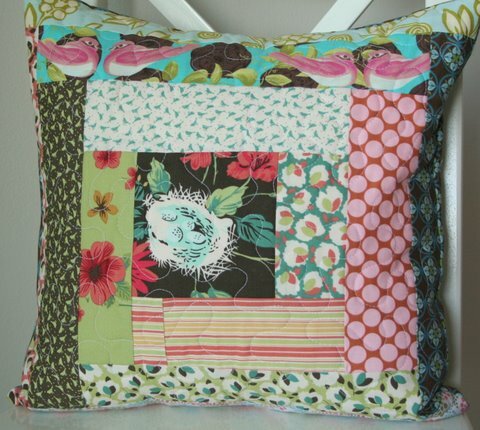 Your pillows are inspirational and a great way to use favorite scraps! I am absolutely in LOVE!!! I have to learn to applique! These are beautiful! What a wonderful way to use up some scraps in a gorgeous way. I am definitely going to have to remember this idea. These are great! I do it all by hand so it would take me way longer, but I might try it! I love all of them. Love the Tina Givens birds in the last one. i luv the zinnia pillow! Just bootiful! My husband cracks up when ever I make a pillow. We have so many. Applique is quite addicting, although I haven’t done it in awhile. I think it’s the perfection part that gets me. Can you share with us ow you made the first pillow? Looks fabulous. 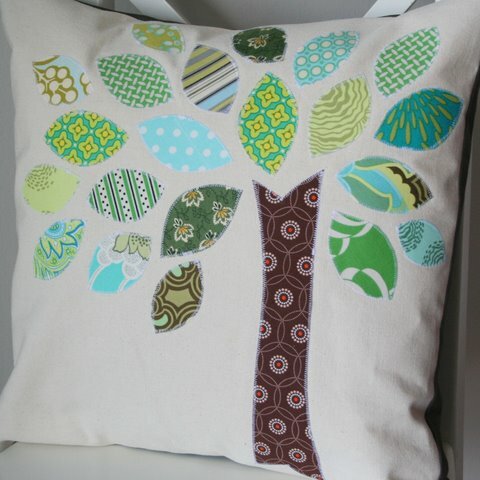 I LOVE the tree pillow as well as the zinnia pillow. OH SO CUTE!!! I came here from Bumble Beans blog to see this pillow. Oh.MY! I love it AND the tree pillow as well. LOVELY!